Eastenders with a little bit of a gangster feel. Sometimes. 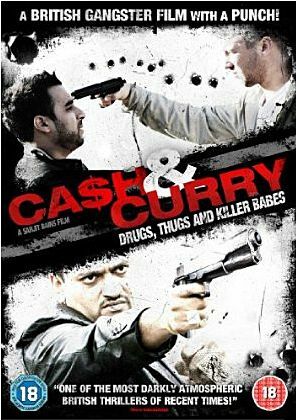 Triads, Yardies & Onion Bhajees director Sarijit Bains’ attempt to make a multi-cultural Brit mobster flick feels more like when Eastenders occasionally dabbles with the gangster genre. Only less gripping. Unsurprisingly, leads Ameet Chana, Ronny Jhutti and Pooja Shah have all passed through Albert Square before, and while undoubtedly trying hard, they all fail to transcend Manish Patel’s weak script. For what it’s worth the plot involves London lad Raj (Chana) and chums (Shah, Jhutti) and their disastrous attempts to double cross their boss to move up the food chain. Director Bains keeps the limp farce moving, the constant quick-edits and mockney coda feels out-of-date. Ambition has clearly outweighed budget or talent here, plus stunt cameos from members of Steps and Big Brother really doesn’t help. Still there’s loads of extras, including a making of doc, feaurettes, trailers and much more.